1. The political, economic, cultural, social and technological dimensions of young people's participation - in particular their transitions to post-school life and the implications of these for educators, other service providers and policy makers. Current areas include youth transitions to employment and young people's experiences of citizenship. 2. How evidence can be used more effectively to support those working to improve the life-outcomes of children and young people. 3. Teacher professional learning and development in relation to the areas above. Other areas of interest include developing joined-up approaches to school-community partnerships addressing the needs of young people and international education. Lucas has worked in corporate, government and not-for-profit sectors. He was a manager within the International Baccalaureate in the UK, has held four research fellowships and been invited to consult local and commonwealth governments. He has worked extensively in collaboration with universities, NGOs, governments and the private sector throughout his career and has briefed State and Federal Ministers and senior policy advisers. 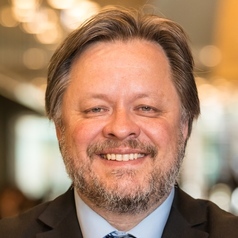 He has been chief investigator on projects for the Australian Institute for Teaching and School Leadership, the Australian Flexible Learning Framework, South Australian Government, Western Australian Government, Federal Department of Education and National Curriculum Board (ACARA). Lucas was also Director of Research and Evaluation at the Foundation for Young Australians. Lucas is currently co-chief investigator with Mark Rickinson on The Q Project (Quality Use of Evidence Driving Quality Education) funded by The Paul Ramsay Foundation.